The Secret to Successful Weight Loss! After 4 – 30 Day Challenges! The end of my 4th 30 Day challenge has come and now I have lost a grand total 54 pounds! As you can see from my before, middle and after picture I have come a long way with my weight loss results. The funny thing is I can’t even take the credit for it. Sure I played a part but I have a great support team! My absolute #1 is God. He has strengthened me for my journey. Each day I draw on the Grace of God to enable me to say no to foods that are not healthy for me and to say yes to exercise & yes to fresh fruit and vegetables! I also have a very supportive husband Stephen Akerele who has given me space to work out each morning and on the weekends. He also has gladly switched to eating clean without any protest! With his support and his gentle push I have been motivated to continue. I also have an awesome personal trainer Michelle(MJ) @juiceoutnc on Twitter who has helped to take my work out to the next level. Her website is http://www.maxxout.biz . I have 2 great workout partners who have been in the thick of it with me in the gym – Stacey Joseph Harris & Maceo Harris. You guys are absolutely awesome! My Sister & Friend Melanie Scott helped to keep me accountable & motivated when I first started this journey, that alone helped tremendously to help create disciplines that have helped to sustain me to this day. 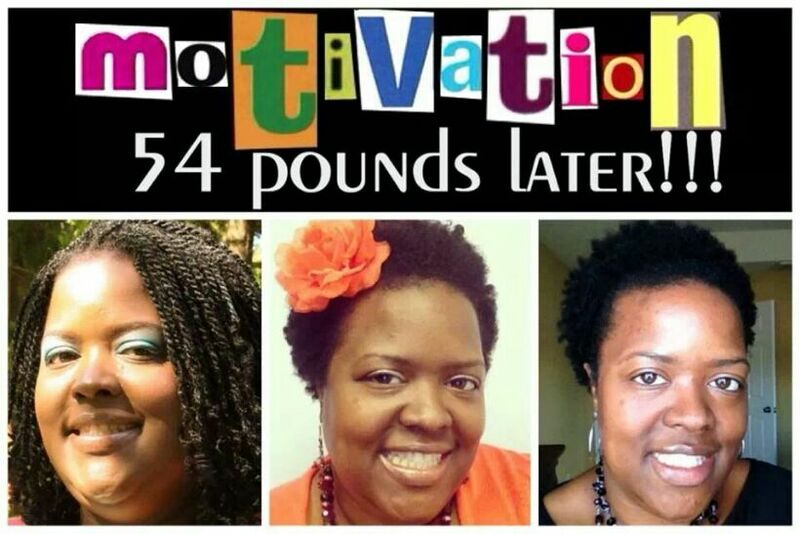 Brigida Mack’s weight loss journey has also inspired me on my journey. She has a great TeamNoSugar challenge that helped to jumpstart me on my path to wellness. Check out her #TeamNoSugar blog at http://www.wbtv.com/30days. Last but definitely not least I have had a group of over 170 determined men & women taking the 30 Day challenge with me, this also includes my Mom & my Sister Eula Hawthorne & Sharolyn Rainey! This group also includes the WGIV Shake It Up show listeners that have been following & joining me on my weight loss journey for the last 2 challenges. I give a weekly 30 day challenge update on the show on Mondays. This show regularly airs Monday, Tuesday & Friday from 9-10am weekly with one of the hardest working female Radio Show Hosts S.P. Gallman. This show airs in Charlotte & surrounding areas on 103.3FM & 1370AM. http://www.facebook.com/WGIVShakeItUp. This group also includes my Blog following on WordPress at http://www.monicaakerele.wordpress.com They Rock! My Group’s dedication to walking on this journey with me has been beyond spectacular & awe-inspiring. The steps they have taken to get in control of their diet and to implement exercise on a consistent basis is mind blowing. They have had individual successes of losing 3-23 pounds in a 30 day period. Their success is my success & I could not be any prouder. I provide them with support, motivation, resources & accountability to help them on their journey, but they in turn push me to stay in this fitness race and to continue to walk out this healthy lifestyle. If you are interested in joining me on my next 30 Day challenge of which starts on Monday October 14, 2013 email me at info@monicaakerele.com and reference the 30 Day Challenge in the Subject Line. Please also follow me on my blog at http://www.monicaakerele.wordpress.com to keep up-to-date with my weight loss journey and to help give you motivation for your own journey to great health. Let’s Go! Is Your Exercise Routine Boring? Switch It Up! I’m coming to the end of my 4th 30 day challenge and I decided that I am going to try something different for my 5th challenge starting next week. I have been a little hesitant about getting a gym membership at a local gym because in the past I would spend a lot of money on a membership but I would never show up. Most of the time it was because I was not motivated completely about working out but today I am completely different. I am oozing with motivation & passion about working out on a consistent basis! I know “this” time I will get full use of my membership and then some! Is your workout getting boring? Do you need a different environment or new scenery? Well my dear switch it up! Don’t Get Off Track! Stay On Course! Sometimes on your journey to weight loss you encounter detours on the road that unexpectedly either gets you off course or delays your progress. Can I get a witness? (LOL) Yes I know there are many that can attest to this! This week has been an interesting one for me & probably my most challenging week to date. I have been running into the challenge of time or the lack thereof that is. Each day this week I have had a full & relentless schedule, thus the time I would have spent working out or planning has been sucked up by activities! I am not making excuses I am just telling it like it is. So now I am making the decision to take my time back! What can we do to successfully manage & prioritize our time in such a way that we don’t put ourselves last? Don't Get Off Track! 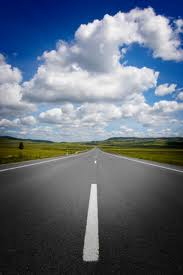 Stay On Course!. 4) Reflect on your day at the end of it & see what you can do to manage your time better the next day. The most important take away from this is to make your time to exercise, juice, plan meals etc. a priority. You have set goals to meet & in order for you to meet them you have to work towards it. Take this time for yourself, YOU ARE WORTH IT!